when i try to install saiku analitycs from market place only apear the Enterprise Edition. When i try to install it gave me an error. And the estable version that can donwload do not apear in the market place. Browse other questions tagged server pentaho saiku or ask your own question. 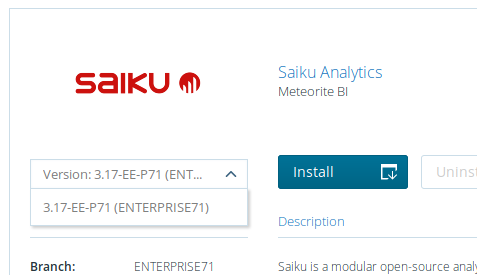 Is there Saiku Analytics plugin for Pentaho BI Server 4.8?